Ships today if you order in the next 5 hours 4 minutes. The most common symptoms of menopause can be annoying and sometimes even painful. Vitanica has a natural, healthy way to find the relief you've been looking for. Black Cohosh is an herbal supplement that may help alleviate hot flashes, night sweats, anxiety, and irritability that's associated with menopause and perimenopause. Black cohosh has been used as an herbal supplement for women since the 1950s and has helped alleviate symptoms of menopause and PMS. It was first used by the Native Americans, who then introduced to Europeans. 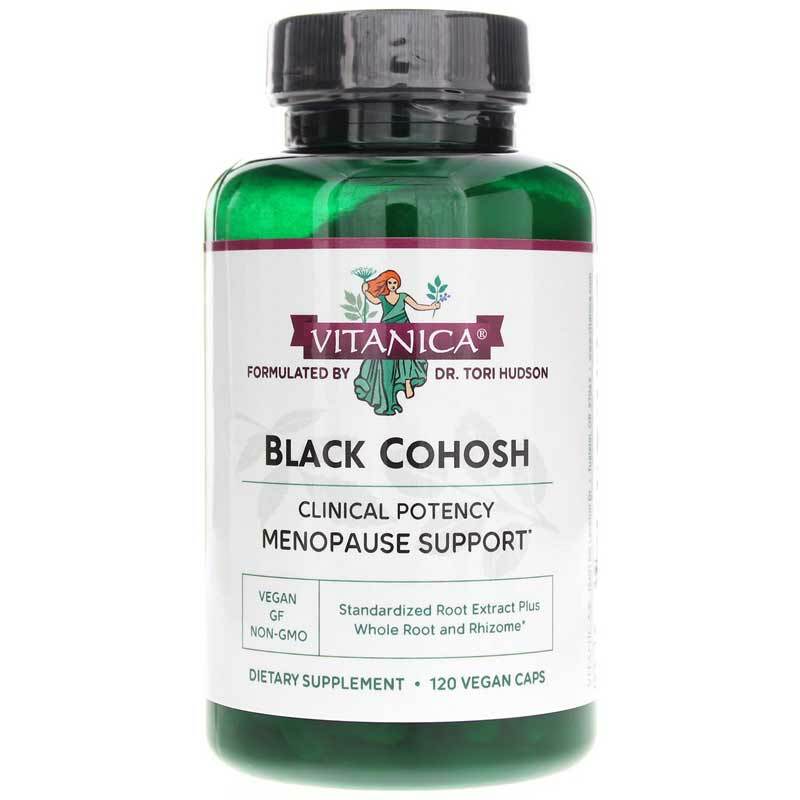 For natural, healthy relief from menopausal symptoms and pains, try Black Cohosh from Vitanica. Take a step toward optimal overall health today! Other Ingredients: vegetable cellulose, water. Contains NO: preservatives, binders, artificial colorings or flavorings, sugars, starch, lactose, salt, wheat, gluten, soybeans, milk derivatives, eggs, peanuts, tree nuts, fish or shellfish. 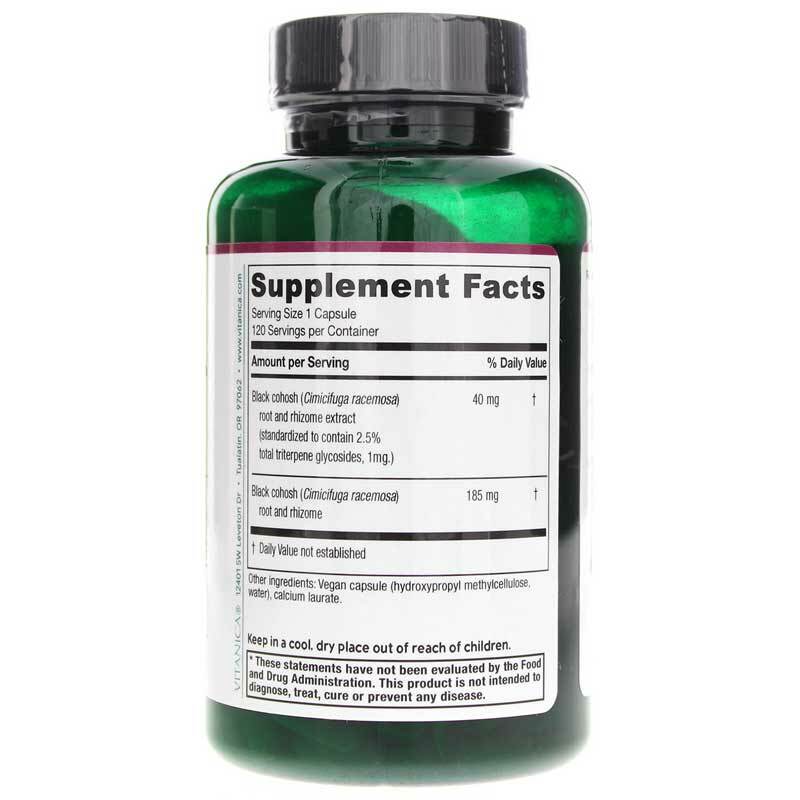 Adults: 1 to 2 capsules, one to two times daily. If you are pregnant or nursing, please consult your healthcare professional before using this product. Avoid if taking Cisplatin. Caution with pre-existing liver disease or hepatoxic drugs. Keep out of the reach of children. 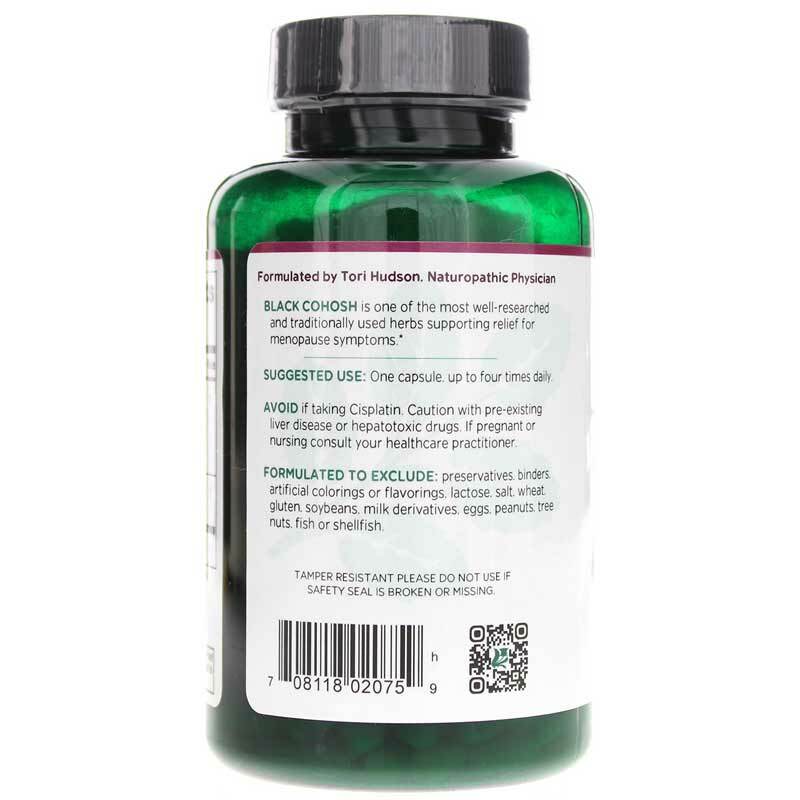 Recommended by daughter's Naturapathic Physician.<br>I tried to help stop HOT FLASHES at age 80!<br>Took a couple of months ... but, Works Like a Charm NOW!<br>2 with breakfast, 1 with dinner and one at bed time Works for me!